Emma Harrison came on board in 2016 as head teacher here at Big Steps Little Feet. She quickly brought a bright bundle of energy, humour and finesse to the children of Bondi who are regularly laughing out loud to the delight of parents waiting in the wings. Emma is a highly intelligent skilled dancer, movie maker, choreographer and teacher with a flair for contemporary dance, she is the quickest learner and nothing is ever a bother or concern for her, she just seems to take it all in her stride... What a blessing! 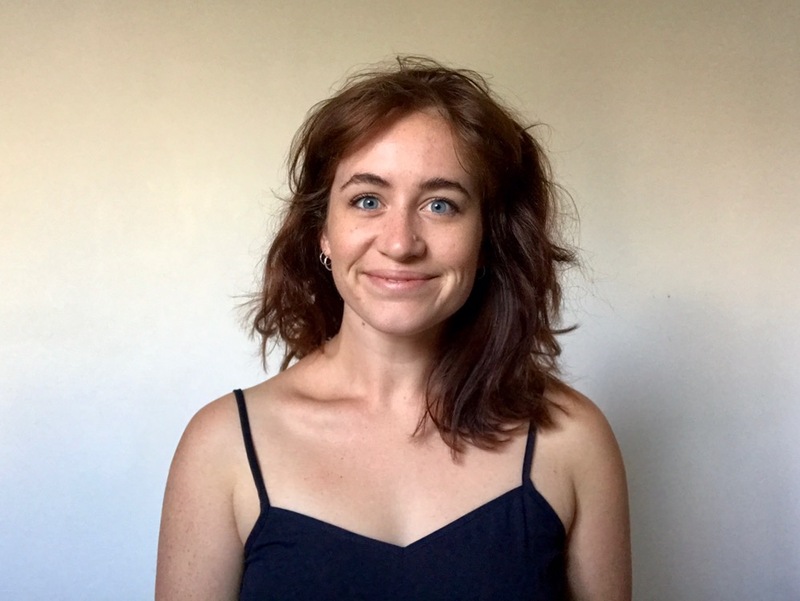 Emma interprets our preschool and toddler, Baby Ballet and Rainbow Ballet classes in the Eastern Suburbs with sensitivity and humour that brings out the best in the children, both in their skill development and creative expression. She also teaches the RAD classical ballet grades and Lyrical Jazz classes for the older children, ensuring that they are challenged but never bored - afterall dancing must be FUN. I interviewed Emma recently allowing you to get to know her a little better; she really is one fabulous, funny and inspiring young woman. My Birthday is... 13th of July. Always winter school holidays so I could never have a pool party! My favourite Big Steps Little Feet concert is… 2017 Alice in wonderland for sure! I loved the story when I was little and even did it as a concert when I was about 8! Was so fun recreating this weird, wacky world with some excellent characters and music. When a child attends my class I hope they… Have fun! But also that a seed is planted somewhere in their hearts that empowers them to live and learn creatively and bravely. The most rewarding thing about working with children is… Their honesty and their passion. My tertiary/teaching qualifications are… I have my Bachelor of Arts Dance with Honours from the Western Australian Academy of Performing Arts and a graduate diploma in Media Arts and Production from UTS. Years of teaching experience….. 6 years; I have been teaching since 2013 – all sorts of styles of dance for all different age groups. I’ve taught in high schools, ballet schools and even adult ballet and contemporary. Every year, I always… Complain about the heat all Summer and then complain about the cold all Winter. Everything changed when I realised… Time you enjoyed wasting was not wasted. As a child I was… Creative and loud and ambitious and a bossy older sister. In preschool I wrote a manifesto to the class stating how we should all learn and play together. As I child we moved house 18 times to 5 different cities around Australia, so I was very quick to make friends and very generous with my love and energy! The best advice I ever received was… Live in action, not reaction. My favorite place in the world is… Florence Italy – the Art (and the gelato) is incredible! My favourite style of dance is … Contemporary! because... it allows a freedom of expression and passion. It processes everything going on with your emotions and your imagination and your thoughts and manifests out into your body . The person I most admire is... My mum, my incredible friends and Kate Bush. Something I can’t do, but I wish I could is… Parkour. I recommend that everyone should… Take more holidays, visit your family more often. Five minutes ago I was… Doing some yoga in my lounge room. Five minutes from now I will be… Roasting veggies for my dinner. Five years from now I want to be… Living and breathing all things creative and fulfilling. Did you have an inspiring teacher in your early years of dance training? Please comment below and share your experience. Please complete the below fields to submit a comment.